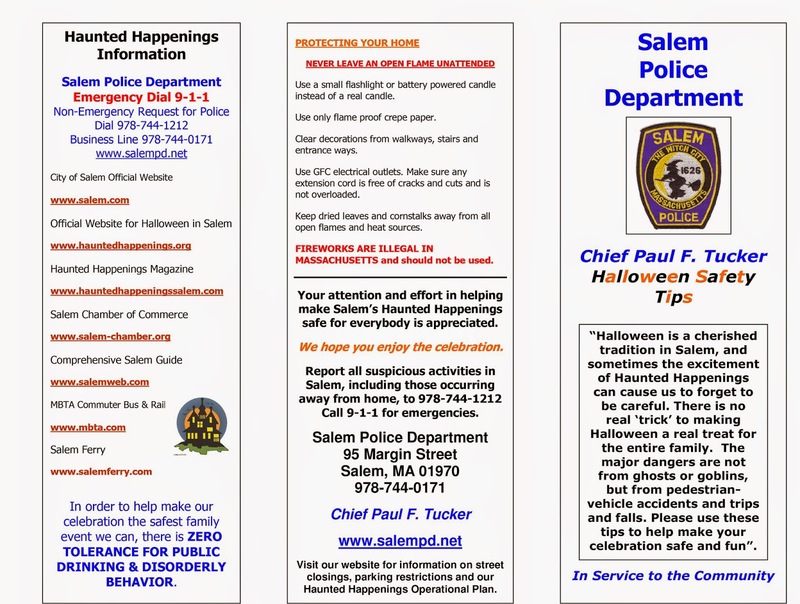 Chief Paul F. Tucker has announced that neighborhood Trick or Treat times for Halloween will be on October 31, 2014 from 5:30 p.m. through 8:00 p.m. 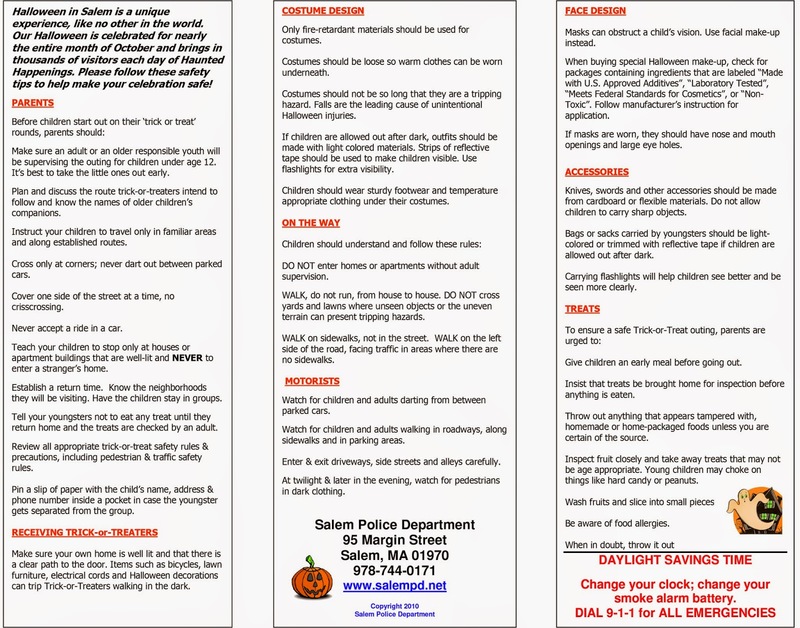 The Salem Police have also released the following informational pamphlet with information for parents to help keep this Halloween fun and safe for all. 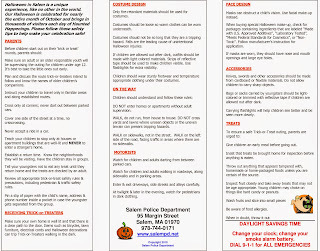 Be sure to check back later this week for detailed information about this weekend's Haunted Happenings Festivities. 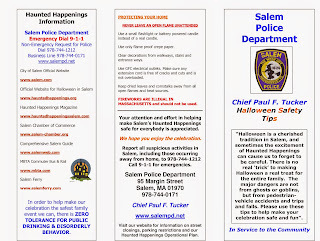 Follow us on Facebook at www.facebook.com/SalemMAPolice and on Twitter at www.twitter.com/SalemMAPolice for additional information about Haunted Happenings including safety tips, contact information, road closures, and public safety notices.